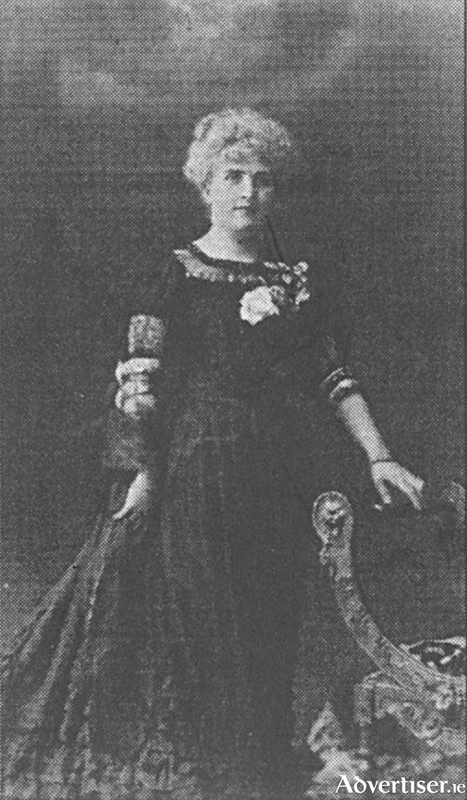 Elizabeth Ellam was assured that the war was over before travelling to Ireland, to see her grandson. My great grandmother, Elizabeth Ellam, was killed on the RMS Leinster when on October 10 1918, exploded and sank following a ruthless German submarine attack shortly after the ship had departed Dun Laoghaire, on her way to Holyhead in Wales. It was practically one month to the day before World War I was declared officially over. But to all intents and purposes by the autumn of 1918, the war was over. The German home front had collapsed. Anti war marches were frequent. Food was becoming scarce. There was a marked collapse in morale. The German navy, with its enormous ships, could no longer function freely on the high seas. It was on the verge of mutiny. The once steadfast German army was reeling before an intense push all along the Western Front, which had begun in the summer. Spearheaded by tanks, the super weapon of its time (but failed to be developed by Germany ), the armies of America, Britain and France advanced rapidly taking thousands of prisoners. On October 4 Germany and Austria had asked US president, Woodrow Wilson for peace terms. As if oblivious to what was happening on land, however, the German submarine service continued attacking Allied shipping. The transport of food and weapons across the Atlantic, was increasingly protected by travelling in convoys, escorted by warships. But the shipping lanes closer to home were largely neglected, and offered soft targets for marauding submarines. The Leinster was carrying 771 passengers and crew, many of whom were military personnel going on leave or returning from leave. There were 180 civilian passengers, 22 postal sorters from Dublin Post Office working in the ship’s on board postal sorting room. Just before 10am, about 16 miles out at sea, two torpedoes were sighted approaching the ship. One missed, but the other struck the port side where the sorting office was located. Immediately after the impact the ship began to take on water. In an attempt to return to port the Leinster turned around, exposing its starboard side as an easy target, which was struck by the third torpedo, practically blowing the ship to pieces. The Leinster sank rapidly by the bow. Five hundred and sixty-nine passengers and crew were killed. My grandfather Ronnie Hackett, was the youngest of 11 children born November 1883, in the Blackrock area of Cork city. The children grew up fiercely loyal and supportive of each other, very adventurous, with a passion for fishing and shooting. With the exception of my grandfather the boys served in the British army and navy, two as surgeon captains. They seem to have retired early because all the family stories are about their happy-go-lucky lives, as they cycled and motored, fished and shot all over west Cork. Indeed west Cork for me today is a succession of landmarks where grandfather caught a 12 lb salmon on the river just below the ‘Crooked Bridge’, and the field where he shot three pheasants with one shot. I remember the best lanes for blackberries, the best fields for mushrooms, the hill where my brother shot rabbits which were made into delicious pies and stews. The ruin on Spanish Island, just off Baltimore, where the eldest, Wilkie, built a house filled with Chinese furniture, and bits and pieces which he collected during his service along the South China Sea. The sharp corner at Bandon where my poor mother, a teenager at the time, crashed into the back of an army lorry filled with young soldiers who cheered and whistled at her blushes. Wilkie was driving her home from La Rochelle school for the summer holidays in his old Morris, and gave her the keys and a driving lesson. Estimated damage was 9 shillings. And a pint of Murphys for each of the lads. My grandfather, known as the quietest of the Hacketts, became a dentist in Skibbereen, and settled down to a busy practice where fees were more often paid in chickens, ducks, and several fat turkeys at Christmas; or permission to stalk private lands. In comparison to his brothers, my grandfather would have lived a quiet, busy life had he not met my grandmother, Dorothea (known as Dorrie ) Ellem, when visiting cousins in London. Dorrie, with her fair skin and long gold hair, was very beautiful. Her father was an artist and she modelled for him and others. They had little or no money, but Dorrie caught the attention of some artist’s charity or other, and was awarded a scholarship to attend an Anglo-French school at Chantily, in northern France. She emerged a sophisticated young woman destined to make a brilliant marriage. Instead she fell for her Irish dentist, and lived happily over his dental practice in Market Street, until they moved to the old rectory in Baltimore, and finally to a home just outside Skibbereen town. Ronnie’s family were astounded at his good fortune. The brothers bought them a Model Ford car, with no reverse gear. Every evening Ronnie drove Dorrie over the rolling hills of west Cork, to a favourite fishing place, while she read and waited patiently in the car. Afterwards they enjoyed a drink in one of the many family run pubs in the area, where they were warmly welcomed. Memories and stories of that car still brought laughter in their old age. After their son Billie was born, Dorrie’s mother, Elizabeth, was anxious to see him. They waited until they believed that the war was over before they thought it safe for her to travel from London. While she was with them Ronnie did some dental work on her, and they parted at Cork railway station in floods of tears. Two days later her body was so badly burnt that it was only by recognising my grandfather’s dental work that Elizabeth Ellam was finally identified among the recovered dead. NOTE: A special commemoration and wreath laying ceremony will take place in St Nicholas’ Collegiate Church during 11am Service next Sunday November 11 2018. This will mark the centenary of the Armistice.